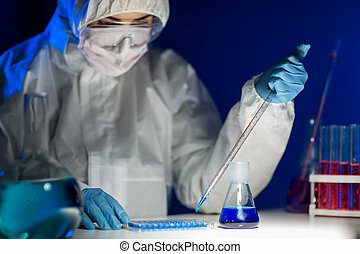 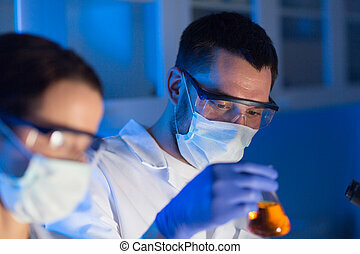 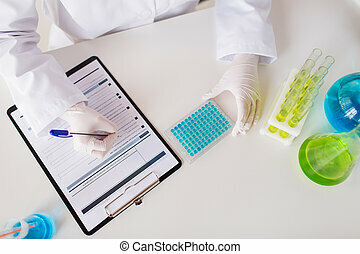 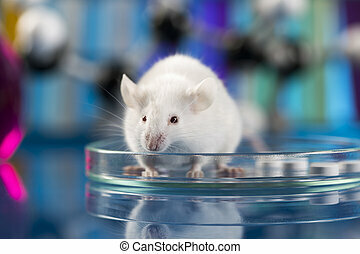 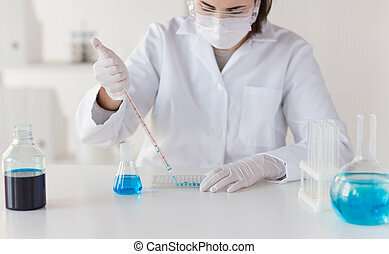 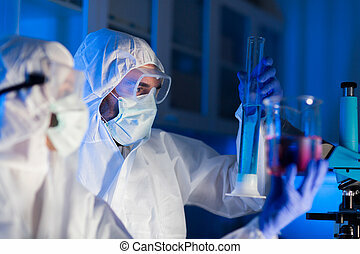 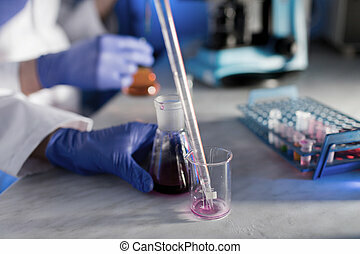 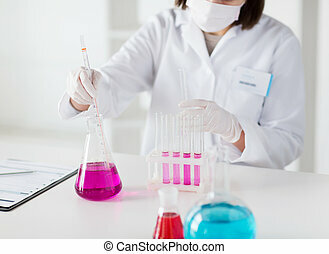 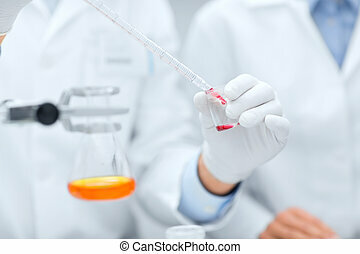 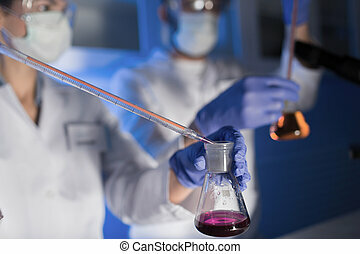 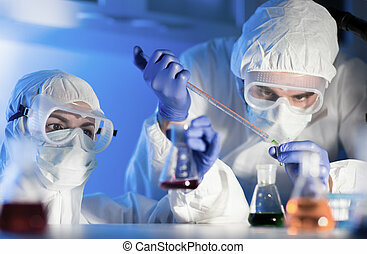 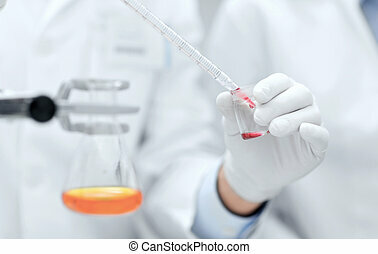 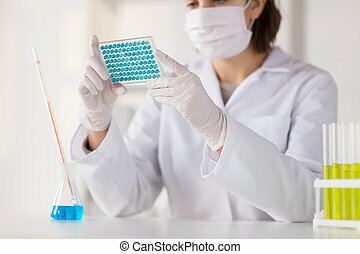 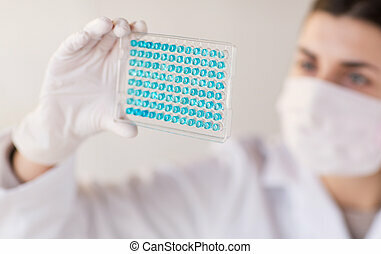 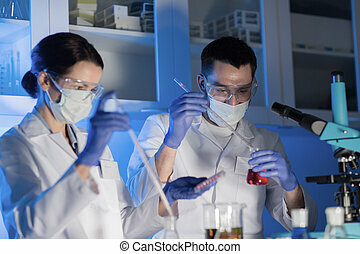 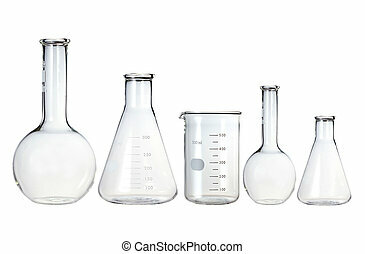 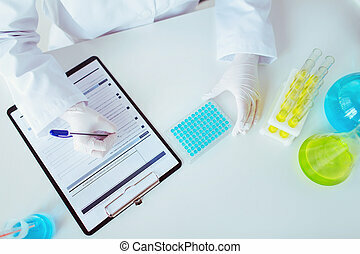 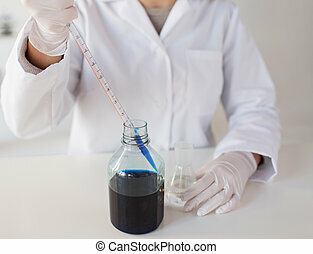 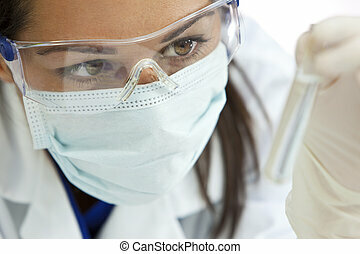 A woman in laboratory research. 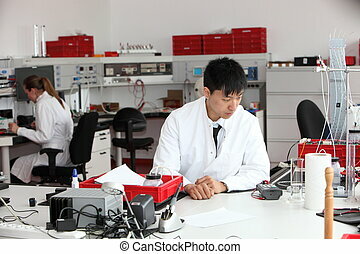 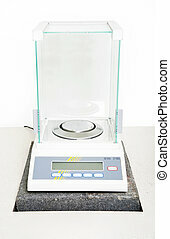 Research in the research laboratory. 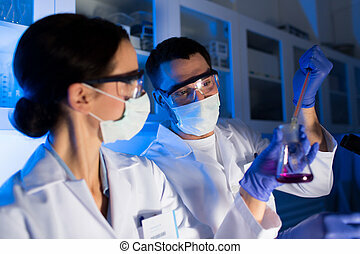 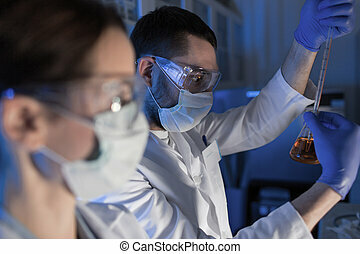 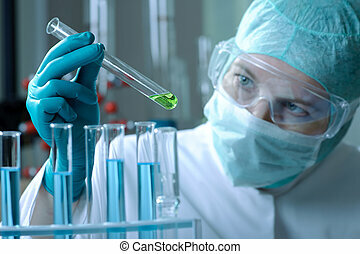 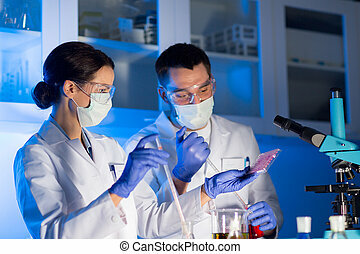 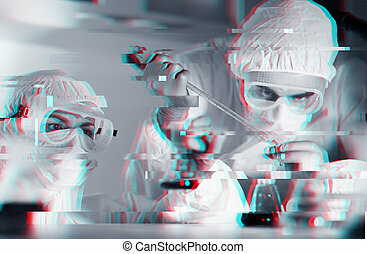 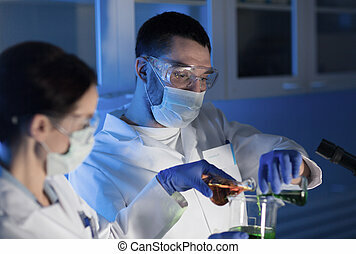 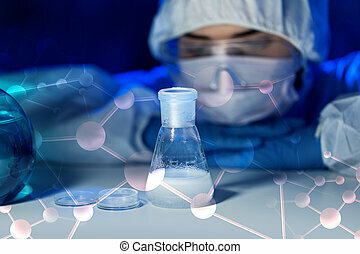 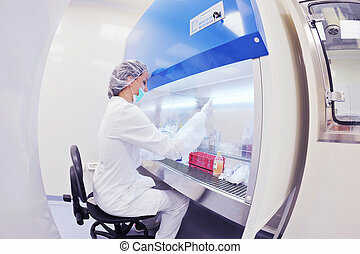 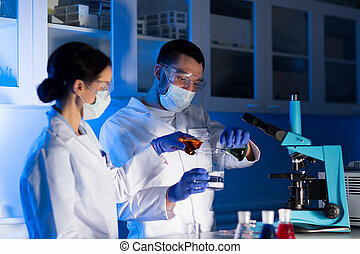 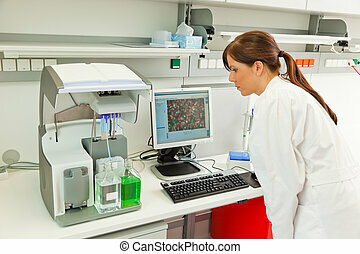 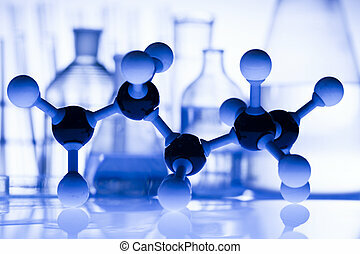 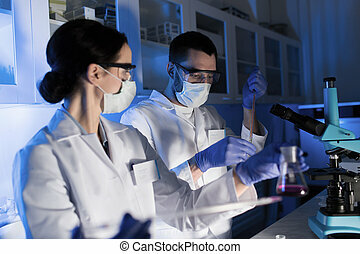 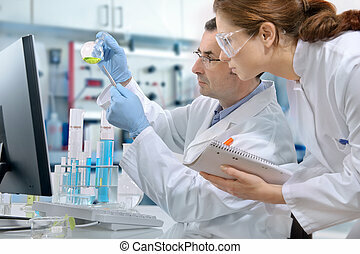 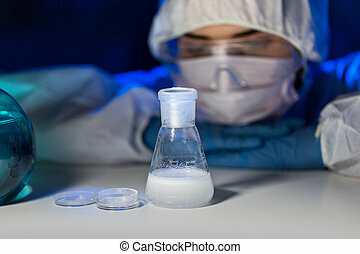 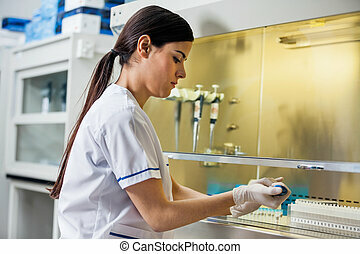 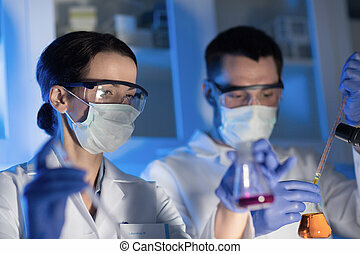 A female medical or scientific researcher or woman doctor looking at a clear solution in a laboratory. 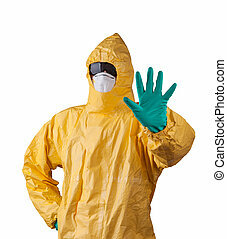 Scientist with protective yellow hazmat suit, ebola concept. 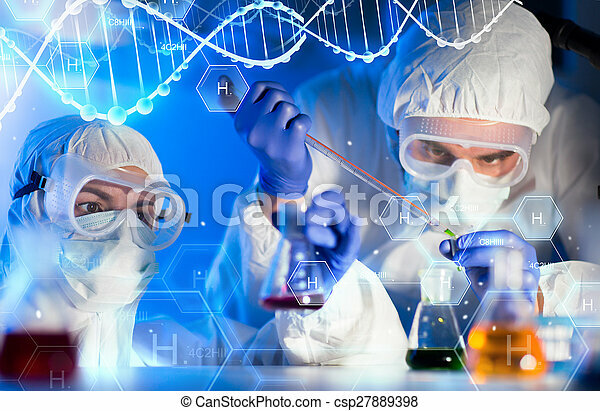 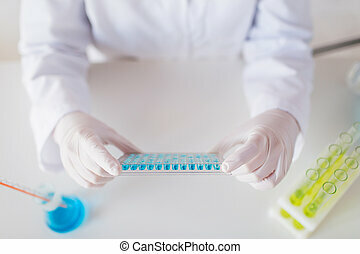 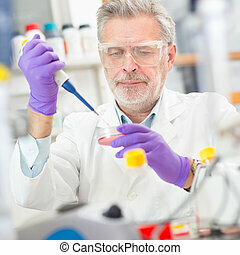 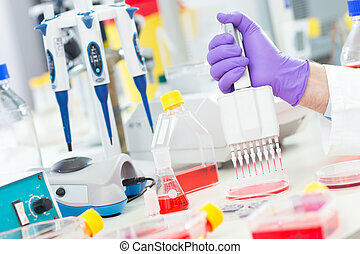 Scientist uses multipipette during DNA research in scientific laboratory.